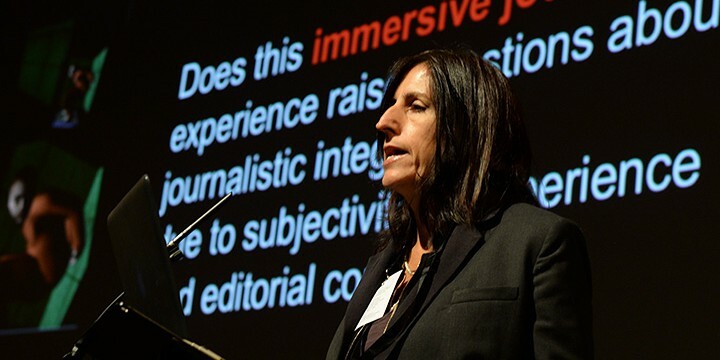 Named “One of the 13 People Who Made the World More Creative” by Fast Company for her pioneering use of virtual reality to make immersive experiences of the news, Nonny de la Peña knows a thing or two about audience engagement. Founder of Virtual Pyedog, de la Peña talks about using gaming platforms to create news and non-fiction in her Conference presentation Immersive Journalism: Using Gaming Platforms for News and Non-Fiction. Watch de la Peña’s talk here.